Kenya Commercial Bank (KCB) @kcbgroup is one of the oldest commercial banks in kenya.KCB prides in large capital base and financial stability seen as the rescue angel when other comercial banks are falling apart for example the recent Chase Bank scandal.KCB is also one of the most spread bank with outlets all over East Africa including the youngest country South Sudan. The lender provides banking services to both individuals and businesses/corporates.There is also a special category catering for the Shariah guided community. 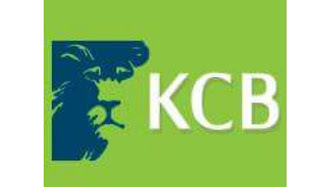 Personal loan products provided by KCB include but not limited to Home loans,estate development loan,Diaspora loans,Group loans,commercial loans,unsecured loans,secured loan,unsecured check-off loans ,masomo loan and salary advance. Business/ Corporate loans include Boresha loan for the micro businesses, startup and working capital loans to SMEs ,Asset financing,Mavuno financing for agricultural businesses and mortgages.